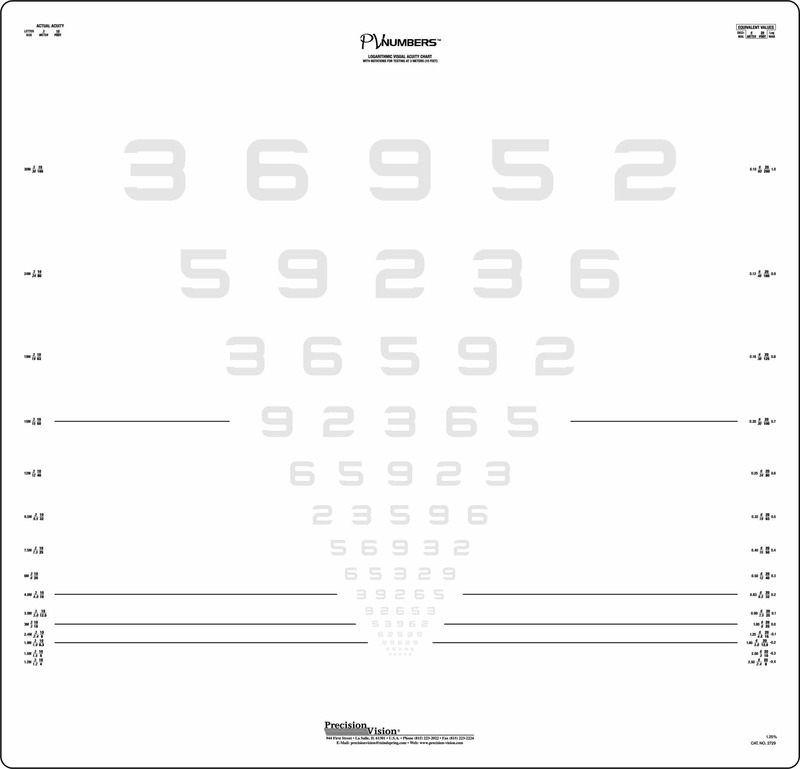 Valuable clinical tool for testing preliterate children. 5 Symbols include House, Apple, Circle, Square and the new addition of the Star. 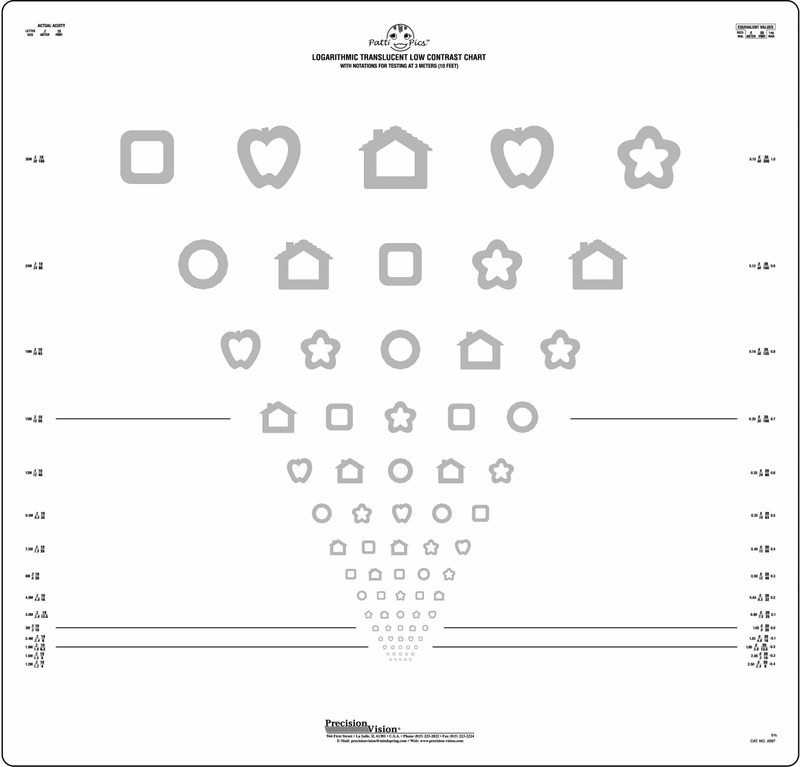 Patti Pics symbols adhere to standardized criteria that follows the theory of the 5×5 Sloan grid. 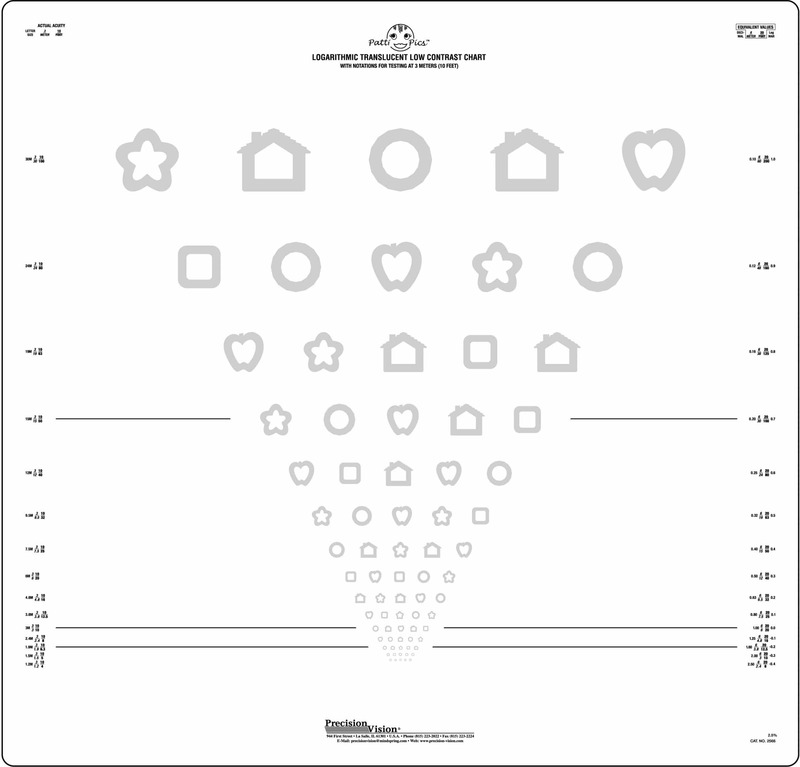 This criteria makes Patti Pics symbols and Sloan optotypes very similar. 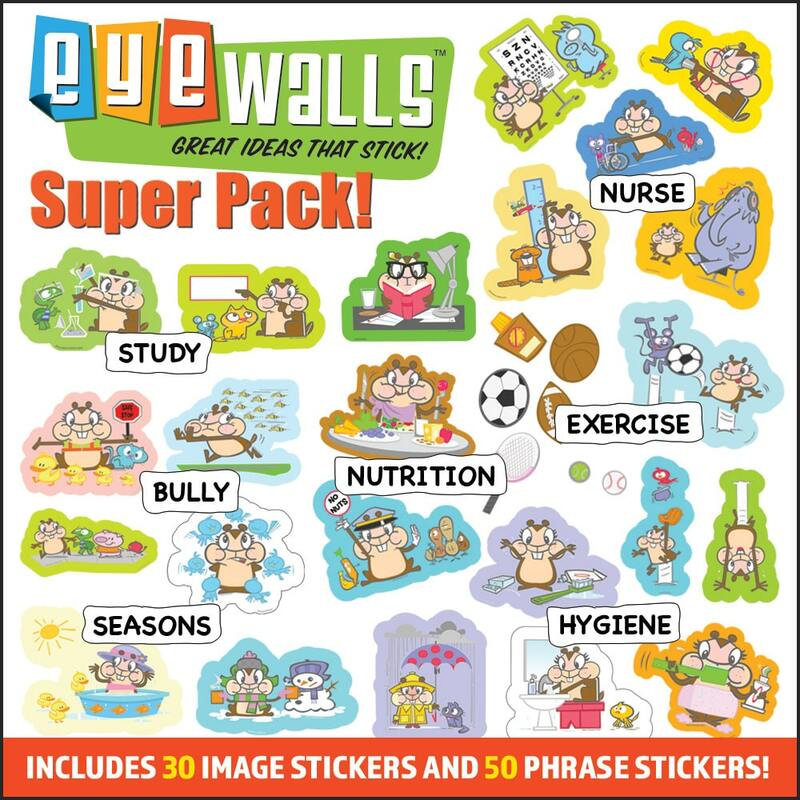 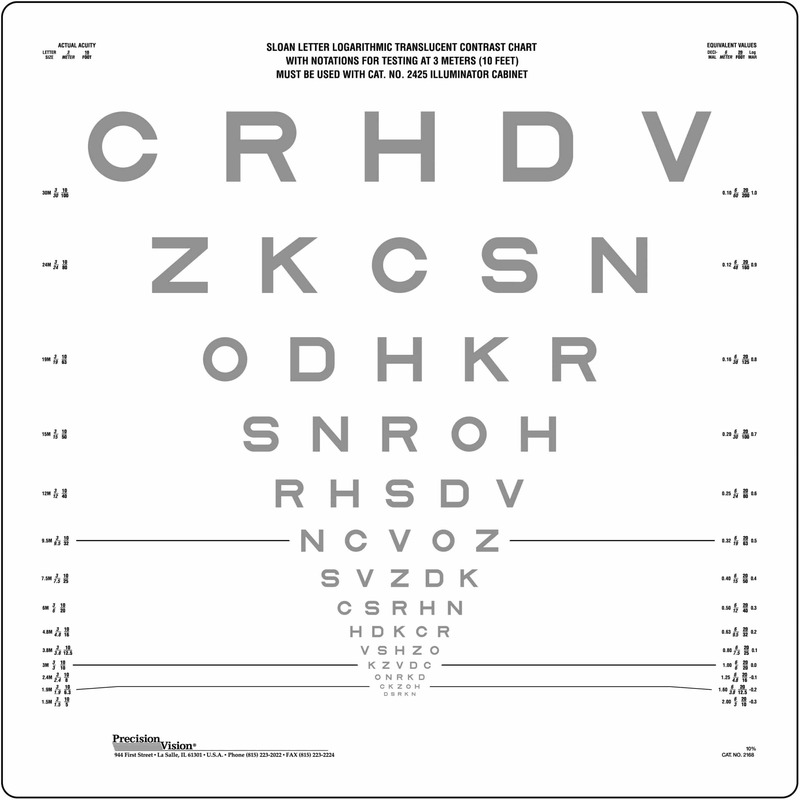 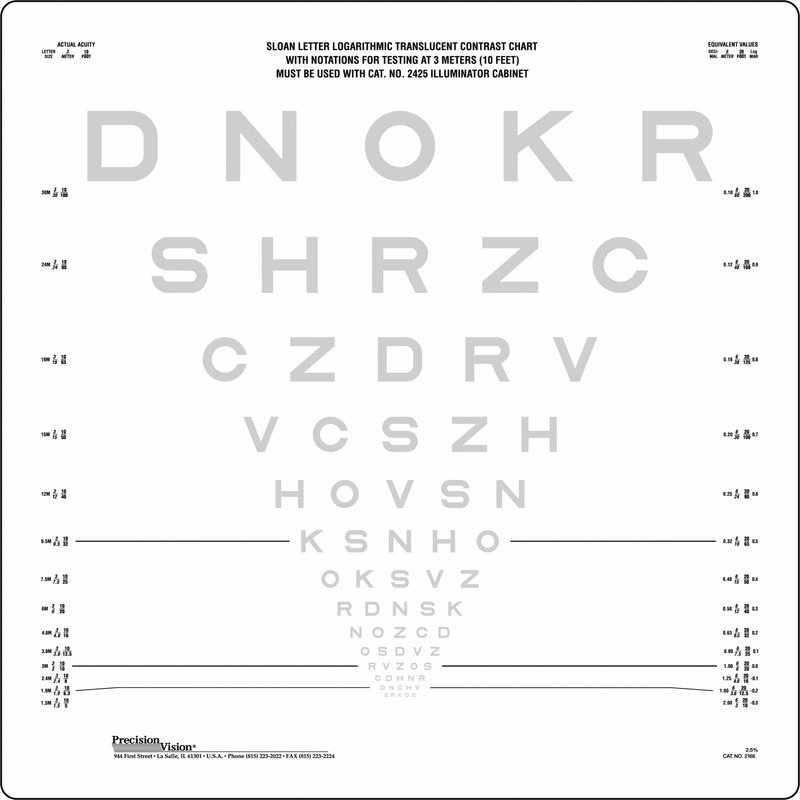 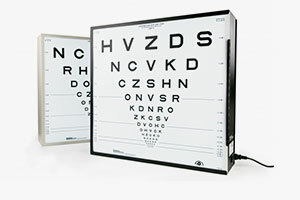 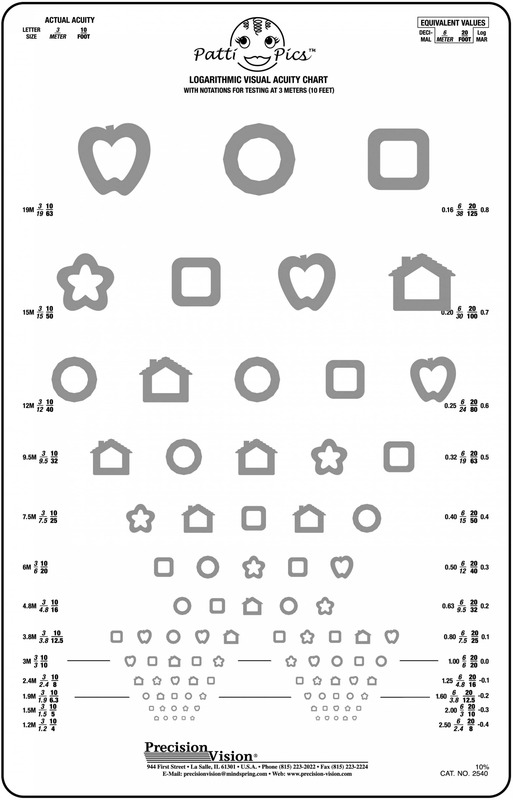 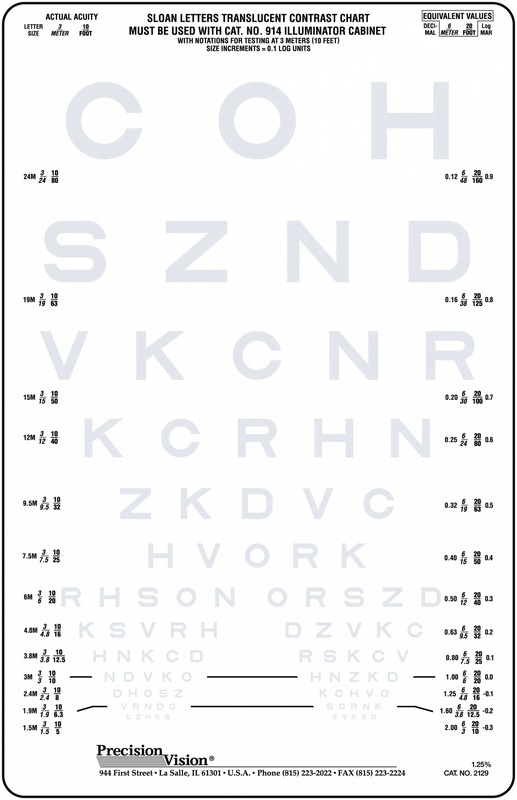 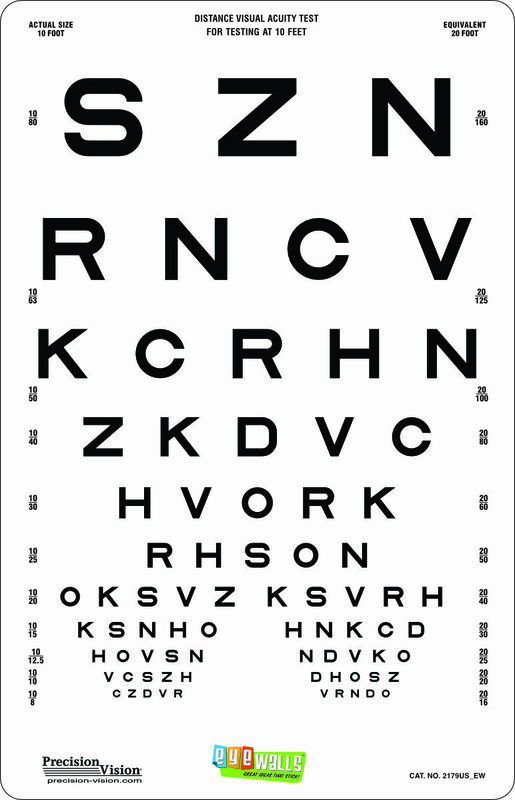 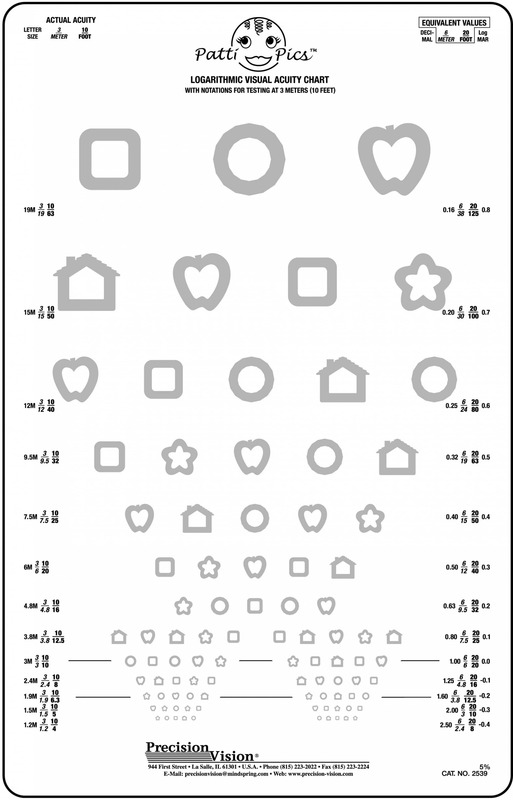 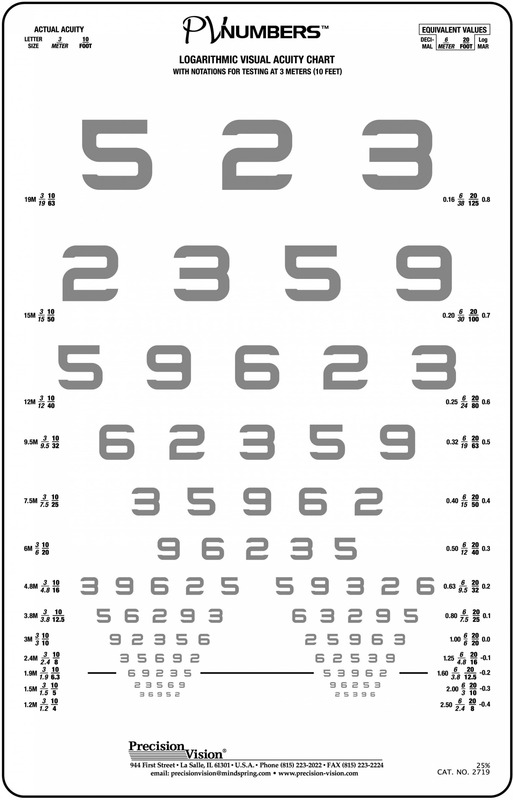 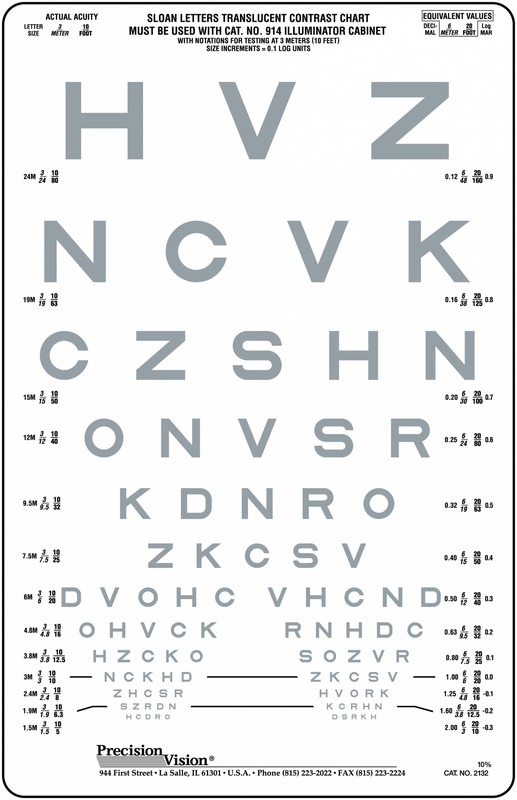 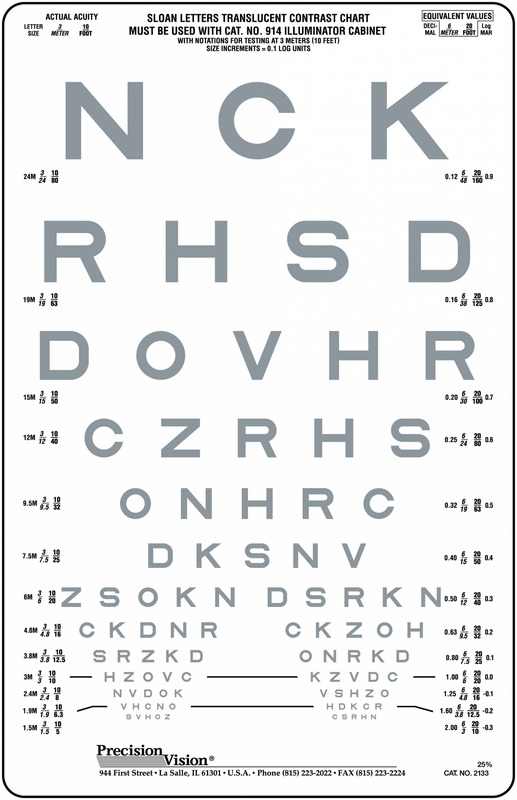 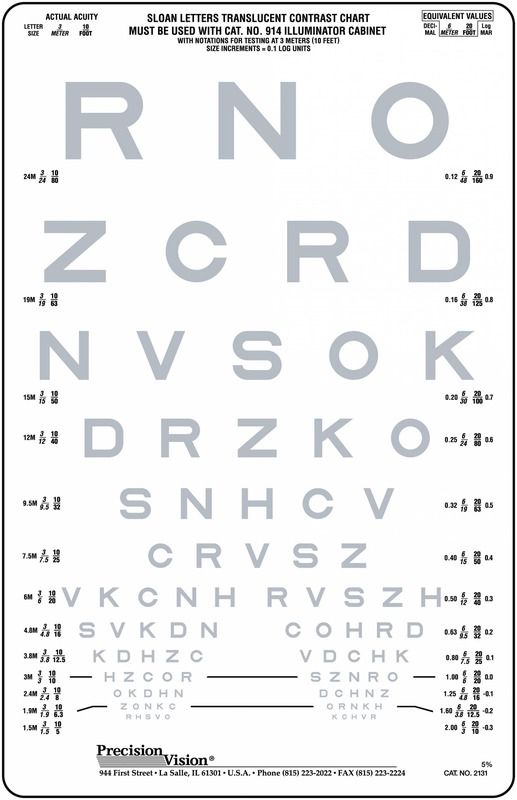 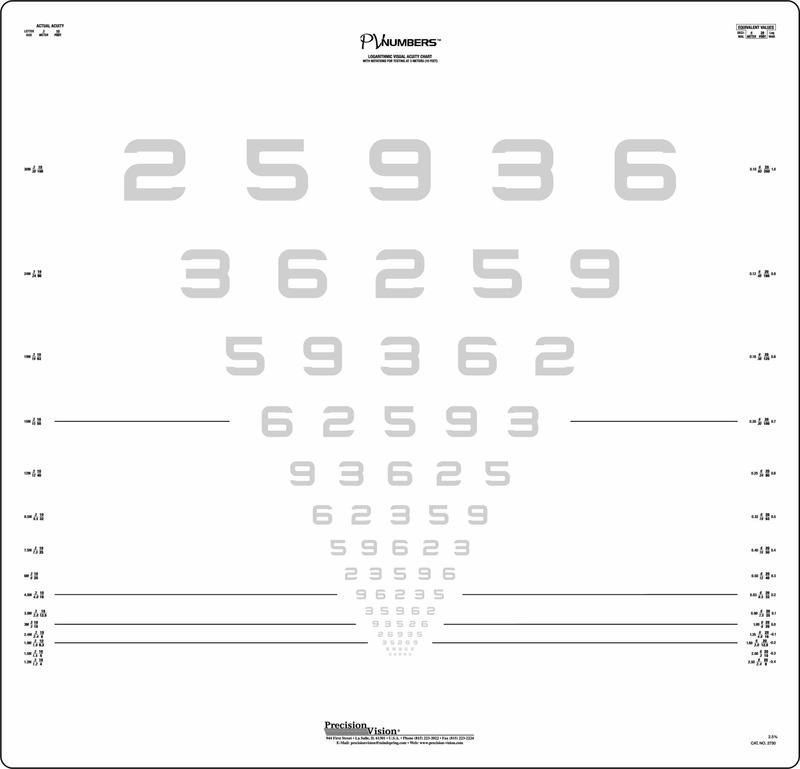 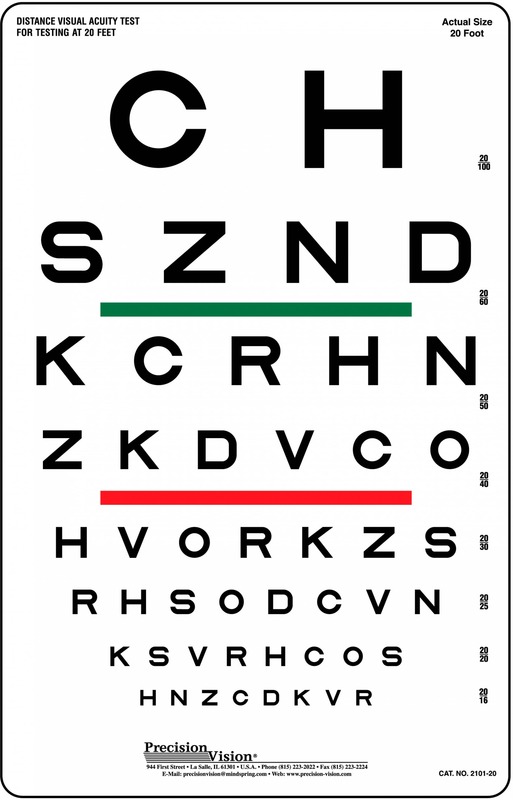 This similarity helps make the conversion from children’s charts to adult vision tests easier and more reliable. 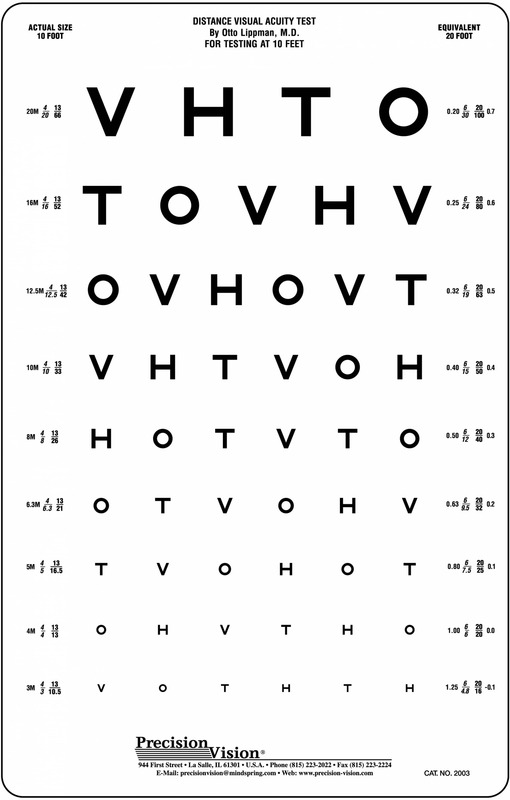 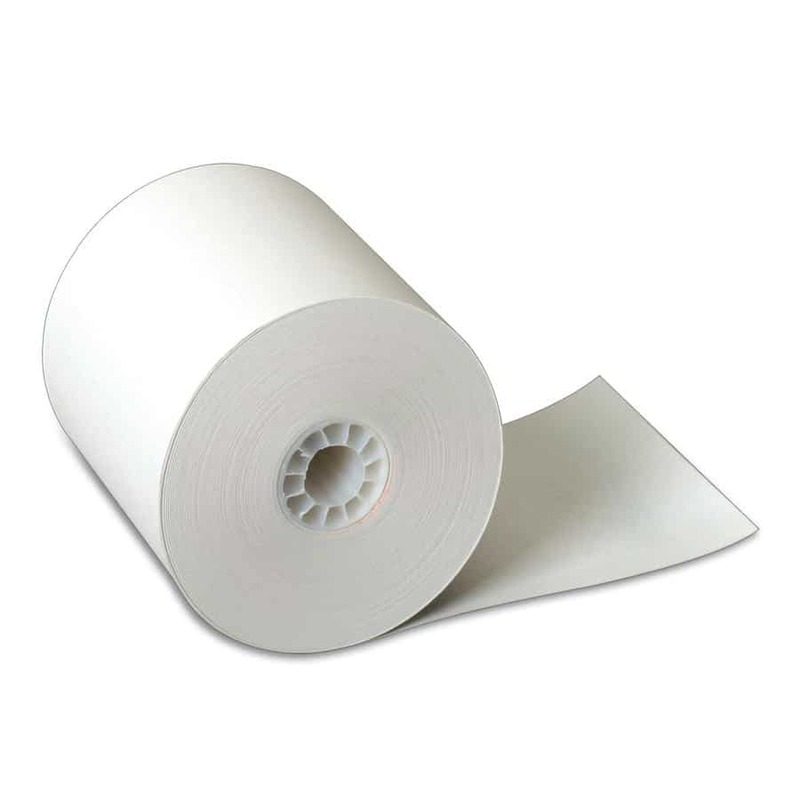 Because they are based on the same criteria, each chart will produce very similar results and there will be less confusion about gains and losses of lines. 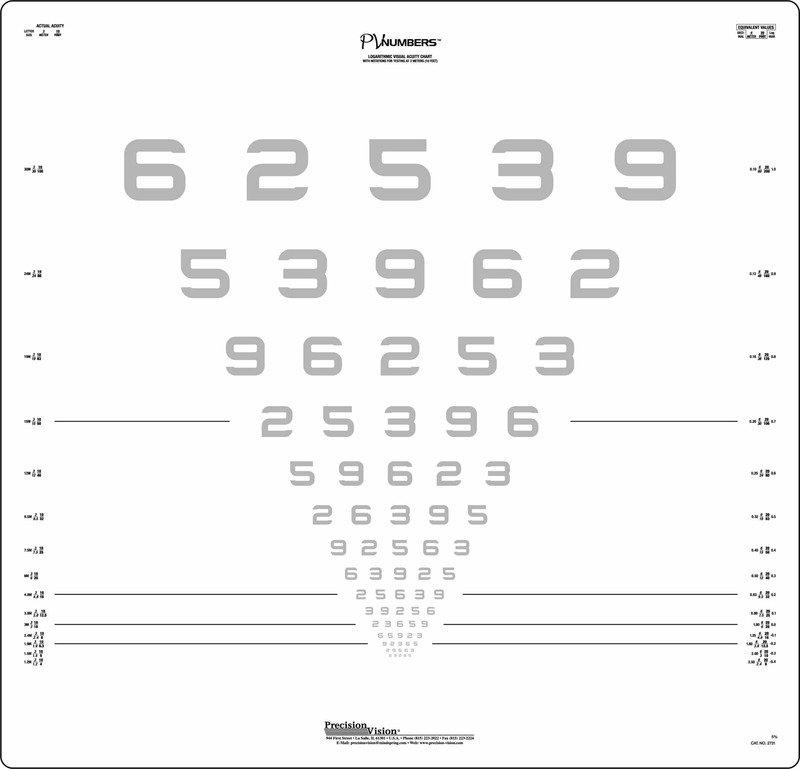 Because of this, the child’s vision records will be more accurate and the child can be better diagnosed.